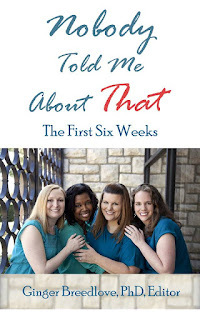 So when Ginger Breedlove asked if I would be interested in contributing to a book for first time families preparing for, or navigating, the first six weeks of parenting, I had to do it! The book covers many critical issues confronting the first few weeks of parenting. There is a large gap in new parent education. The fifteen co-authors are experienced professionals with personal experience in a variety of disciplines and a shared commitment of supporting families of newborns. 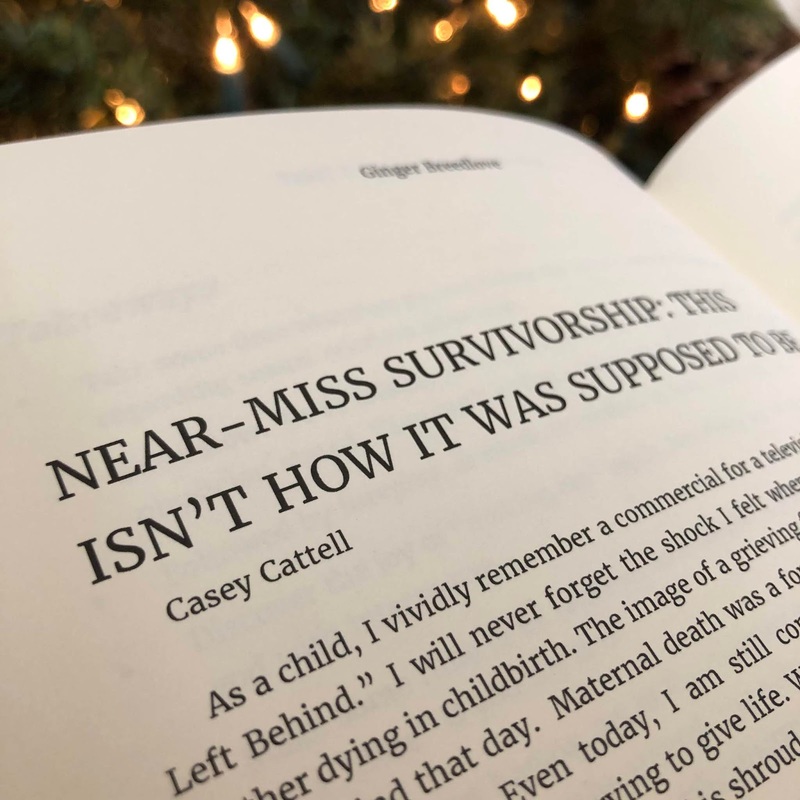 Each chapter is written to stand alone, with the book covering an array of topics, including how to be vigilant in the era of rising maternal mortality rates in the United States. The book is designed to be read a chapter at a time as you need to know with the goal of helping every reader gain confidence, coping skills, and an increased sense of calm through those first six weeks. 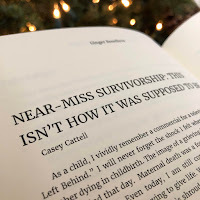 I was given free rein to write about my personal experiences with near-miss survivorship and what I thought could help expecting families weather perinatal complications. To say this project aligned with my advocacy goals is an understatement, and if I’m not mistaken, Nobody Told Me About That is the first book of its kind to directly address maternal mortality and severe morbidity head on. I could not be more grateful for the opportunity to reach so many expectant families, to work alongside an advocate like Ginger Breedlove (President of March for Moms, Founder of Grow Midwives and former President of the American College of Nurse Midwives) and so many other hardworking contributing authors with a shared mission of helping new families navigate early postpartum. #NobodyToldMeAboutThat makes a great shower gift or just-because-gift to expecting families and covers an array of topics including breastfeeding, newborn sleep, returning to work, unexpected outcomes, childbirth as a woman of color and the warning signs of complications. Working on a project like this with experts in their fields three years after my near-misses is special. If you had told me that I'd be sharing intimate details of our struggle with the world like this back then, I wouldn't have believed you. Delay and denial were highlights in the ProPublica “Lost Mothers” series as two of the biggest factors leading to preventable maternal mortality. In short, denying the existence of a problem delays treatment and this can dramatically affect the outcome of severe maternal morbidity. Tragically, there are cases where people do not have a timely and accurate diagnosis, even when they do seek medical treatment. I have read dozens of stories where symptoms of perinatal complications were dismissed by the patient or the healthcare providers and resulted in death. As patients, we cannot rely solely on our providers; we have a responsibility to educate ourselves about the risks and to be vigilant too. We are our own best advocates. We know our bodies best. If something doesn't feel right and there is not a reasonable explanation for the symptoms you are experiencing, take a moment to name it and then go to the Emergency Room. Do not hesitate to get that second or third opinion. Keep asking questions and pushing for answers. I wish I had been more proactive in that regard. Battling a silent killer was not something I anticipated during the last days of my second trimester. My symptoms were subtle at first. I noticed that scaling the stairs in our two-story home winded me late in my fifth month of pregnancy. We attended a barbecue one Saturday afternoon and I felt like it took me such a long time to walk from the car to the backyard. I was out of breath by the time I reached the patio despite walking at a snail’s pace. Shortness of breath crept in so stealthy that I dismissed it as a normal part of pregnancy. A few days later, my blissful pregnancy turned into a high-risk nightmare. At 24 weeks pregnant, I barely escaped the clutches of one of the leading causes of sudden maternal death: pulmonary embolism. Because it was so unexpected, I didn’t see the danger in my situation immediately, or even in the early aftermath. Gasping for breath and nearly collapsing in the stairwell at work were not enough to alarm me; I was ready to go to my desk and start a new work week because my symptoms dissipated within 20 minutes. Thankfully, there were people around me that recognized the seriousness of my situation. I credit several of them for their role in saving my life and the life of my unborn son that day. The co-worker who came to my aid immediately when she saw I was in distress, the director who called the on-site emergency response team, the volunteers on the team who urged me to go to the Emergency Room out of an abundance of caution. I was in denial because I was healthy, and the baby was hitting all his milestones. What could possibly be wrong? Denial easily could have cost me my life that day. After a decade of infertility, I would have done anything to safeguard my unborn son; however, I did not have that same sense of apprehension about my own health. We greatly appreciate your purchase and review. This book has the potential to help so many new families and we are very excited to be hitting back on the phenomenon of "Nobody Told Me About That". A huge 'thank you' to my husband, Adam, for his incredible support and understanding of why I need to work on projects like this. For his willingness to continually be a main character in a harrowing, cautionary tale that isn't easy to hear or read over and over and over again. For his partnership in life and love... for being an amazing husband when I was at my worst... for being the best dad to our miracle boy... and for understanding how deeply this experience has affected me and our family. Another huge 'thank you' to my mom, Barbara, for being an enormous support since I first called to tell her something was wrong. She moved in with us for five or six weeks the day my husband took me to the ER. She help us care for our newborn, kept an eye on me after discharge and ensured I got the rest I needed by being our night nurse so I could begin to heal inside and out. She also has been my child care provider in a pinch when projects like this come along, allowing me the opportunity to hole up in Starbucks with my laptop for hours over the course of many days. Without her help, I wouldn't have been able to write this book chapter. We are lucky and blessed to have you in our lives. I'm also reminded about the big chance I took with turning my crafty blog into a chronicle of our experience. Remember when I said I felt called to start writing back in 2016? I wonder if this is part of the reason why. About the Author: Casey Cattell struggled with infertility for more than a decade before giving birth to her son in 2015. She is a two time Maternal Near Miss Survivor writing to give hope to women in the midst of hardships. She is a Patient Advocate, Heroes For Moms Ambassador, Survivor Support Group Leader and has shared her patient story with the National Blood Clot Alliance and co-authored Nobody Told Me About That. 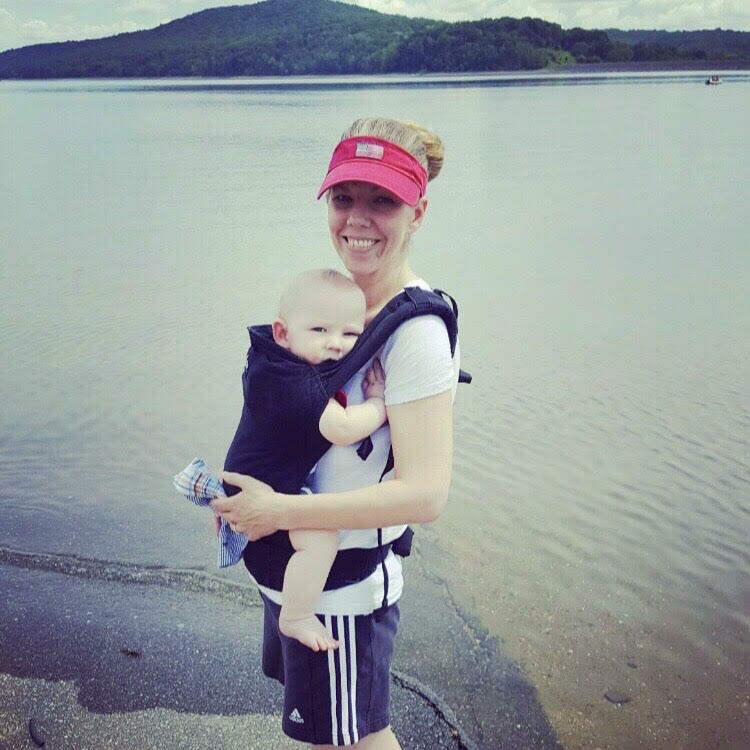 Casey and her husband live in the Northeast, USA and in their downtime like to explore new places with their young son. If you liked this post or were encouraged by it, please consider passing it on. Find Casey on Instagram and Twitter. 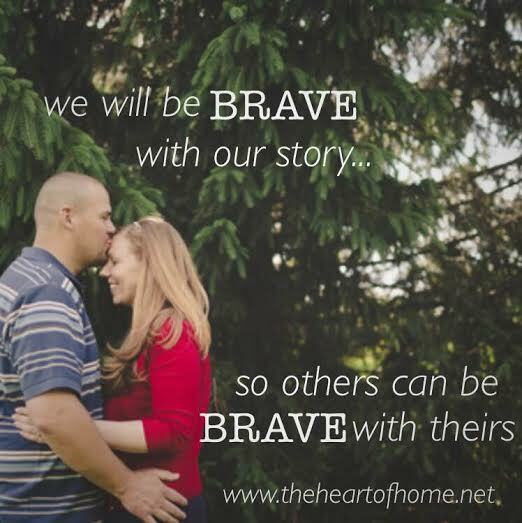 Your journey of hope and healing is healing and providing hope for others! Thank you! And thank you for all the support you continually give to survivors. Your encouragement makes it a little easier to overcome the mortifying vulnerability many of us feel sharing these heavy things. Hello There. I found yoiur log using msn. This is a really well written article. useful information. Thanks for tthe post. I'll certainly comeback.